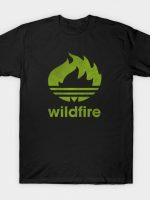 Retro Adidas Logo Parody T-Shirt by ntesign. Show everyone that you are a fan of Adidas with this t-shirt. The nineties are back!